Siebe and Harrison's patent ice-making machine, 1862. This machine was patented by James Harrison in Australia in 1859, and the design was then improved by Augustus Siebe & Co of London in 1861. It operated by using compression of ether followed by its sudden expansion to freeze water. Apparently it was capable of 'converting 200 gallons of spring or river water into solid ice without using chemicals'. 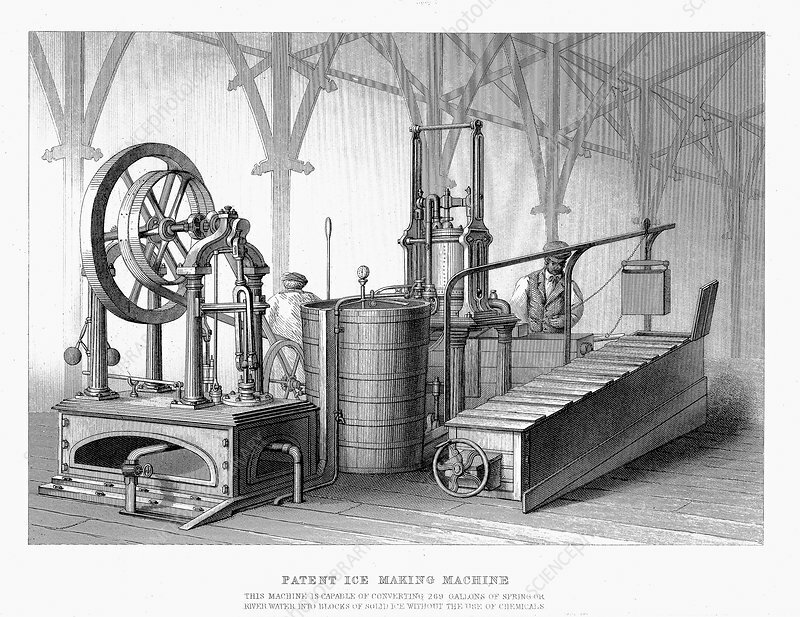 The machine is shown at the International Exhibition, London, held in 1862.